P rayer Book Club – Won’t you read along with us? God to bring in his kingdom. Prayer is viewed as a wrestling match, often—or perhaps ordinarily—without a clear sense of God’s immediate presence. What accounts for these two views—what we could call “communion-centered” and “kingdom-centered” prayer? One explanation is that they reflect people’s actual experience. However, theological differences also play a role. Which view of prayer is the better one? Is peaceful adoration or assertive supplication the ultimate form of prayer? That question assumes that the answer is completely either-or, which is unlikely. Besides looking at the actual prayers of the Bible, we should consider also the Scripture’s theology of prayer—the reasons in God and in our created nature that human beings are able to pray. Thus the Bible gives us theological support for both communion-centered and kingdom-centered prayer. A little reflection will show us that these two kinds of prayer are neither opposites nor even discrete categories. We may pray for the coming of God’s kingdom, but if we don’t enjoy God supremely with all our being, we are not truly honoring him as Lord. 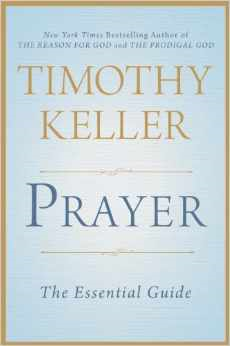 This book will show that prayer is both conversation and encounter with God. These two concepts give us a definition of prayer and a set of tools for deepening our prayer lives. The traditional forms of prayer—adoration, confession, thanksgiving, and supplication—are concrete practices as well as profound experiences. We must know the awe of praising his glory, the intimacy of finding his grace, and the struggle of asking his help, all of which can lead us to know the spiritual reality of his presence. Prayer, then, is both awe and intimacy, struggle and reality. These will not happen every time we pray, but each should be a major component of our prayer over the course of our lives. Kathy’s jolting challenge, along with my own growing conviction that I just didn’t get prayer, led me into a search. I wanted a far better personal prayer life. I began to read widely and experiment in prayer. As I looked around, I quickly came to see that I was not alone. You are with Another, and he is unique. God is the only person from whom you can hide nothing. Before him you will unavoidably come to see yourself in a new, unique light. Prayer, therefore, leads to a self-knowledge that is impossible to achieve any other way. In a sermon on the gospel, Owen gave due diligence to laying the doctrinal foundation of Christian salvation. Then, however, he exhorted his hearers to “get an experience of the power of the gospel . . . in and upon your own hearts, or all your profession is an expiring thing.”24 This heart experience of the gospel’s power can happen only through prayer—both publicly in the gathered Christian assembly and privately in meditation. In my pursuit of a deeper prayer life, I chose a counterintuitive course. I deliberately avoided reading any new books on prayer at all. Instead, I went back to the historical texts of Christian theology that had formed me and began asking questions about prayer and the experience of God—questions. I found guidance on the inward life of prayer and spiritual experience that took me beyond the dangerous currents and eddies of the contemporary spirituality debates and movements. There is an intelligent mysticism in the life of faith . . . of living union and communion with the exalted and ever-present Redeemer. . . . He communes with his people and his people commune with him in conscious reciprocal love. As I pondered that verse, I had to marvel that Peter, in writing to the church, could address all his readers like this. He didn’t say, “Well, some of you with an advanced spirituality have begun to get periods of high joy in prayer. Hope the rest of you catch up.” No, he assumed that an experience of sometimes overwhelming joy in prayer was normal. I was convicted. Rather, I was meant to ask the Holy Spirit to help me experience my theology. I made four practical changes to my life of private devotion. First, I took several months to go through the Psalms, summarizing each one. The second thing I did was always to put in a time of meditation as a transitional discipline between my Bible reading and my time of prayer. Third, I did all I could to pray morning and evening rather than only in the morning. Fourth, I began praying with greater expectation. I have found new sweetness in Christ and new bitterness too, because I could now see my heart more clearly in the new light of vital prayer. In other words, there were more restful experiences of love as well as more wrestling to see God triumph over evil, both in my own heart and in the world. Prayer is the only entryway into genuine self-knowledge. It is also the main way we experience deep change—the reordering of our loves. Prayer is simply the key to everything we need to do and be in life. We must learn to pray. We have to. Rather, in them he reveals what he asked most frequently for his friends—what he believed was the most important thing God could give them. What is that? It is—to know him better. It means having the “eyes of their hearts. . . enlightened” (Ephesians 1:18). It is to have a more vivid sense of the reality of God’s presence and of shared life with him. Therefore, knowing God better is what we must have above all if we are to face life in any circumstances. Paul’s main concern, then, is for their public and private prayer life. He believes that the highest good is communion or fellowship with God. He does not see prayer as merely a way to get things from God but as a way to get more of God himself. If we give priority to the outer life, our inner life will be dark and scary. To discover the real you, look at what you spend time thinking about when no one is looking, when nothing is forcing you to think about anything in particular. At such moments, do your thoughts go toward God? If you aren’t joyful, humble, and faithful in private before God, then what you want to appear to be on the outside won’t match what you truly are. The infallible test of spiritual integrity, Jesus says, is your private prayer life. Those with a genuinely lived relationship with God as Father, however, will inwardly want to pray and therefore will pray even though nothing on the outside is pressing them to do so. They pursue it even during times of spiritual dryness, when there is no social or experiential payoff. At the heart of all the various ways of knowing God is both public and private prayer. I can think of nothing great that is also easy. Prayer must be, then, one of the hardest things in the world. When your prayer life finally begins to flourish, the effects can be remarkable. The Bible is all about God, and that is why the practice of prayer is so pervasive throughout its pages. The greatness of prayer is nothing but an extension of the greatness and glory of God in our lives. The Scripture is one long testimony to this truth. To fail to pray, then, is not to merely break some religious rule—it is a failure to treat God as God. It is a sin against his glory. Jesus Christ taught his disciples to pray, healed people with prayers, denounced the corruption of the temple worship (which, he said, should be a “house of prayer”), and insisted that some demons could be cast out only through prayer. He prayed often and regularly with fervent cries and tears (Heb 5:7), and sometimes all night. When he faced his greatest crisis, he did so with prayer. We hear him praying for his disciples and the church on the night before he died (John 17:1–26) and then petitioning God in agony in the Garden of Gethsemane. Finally, he died praying. All Christians are expected to have a regular, faithful, devoted, fervent prayer life. Christians are taught that prayer should pervade their whole day and whole life—they should “pray without ceasing” (1 Thess 5:17). Prayer is so great that wherever you look in the Bible, it is there. Why? Everywhere God is, prayer is. Since God is everywhere and infinitely great, prayer must be all-pervasive in our lives. One of the greatest descriptions of prayer outside of the Bible was written by the poet George Herbert (1593–1633) in his “Prayer (I).” The poem is remarkable for tackling the immense subject of prayer in just one hundred words and without a single verb or prose construction. Instead, Herbert gives us some two dozen word pictures. Prayer is a natural human instinct. Prayer is a nourishing friendship. Prayer changes those around us. Prayer is learning who you are before God and giving him your essence. Prayer means knowing yourself as well as God. Through prayer, which brings heaven into the ordinary, we see the world differently, even in the most menial and trivial daily tasks. Prayer changes us. Prayer unites us with God himself. Chapter 3: What Is Prayer? In the great monotheistic religions of Islam, Judaism, and Christianity, prayer is at the very heart of what it means to believe. Even deliberately nonreligious people pray at times. Studies have shown that in secularized countries, prayer continues to be practiced not only by those who have no religious preference but even by many of those who do not believe in God. Still, though prayer is not literally a universal phenomenon, it is a global one, inhabiting all cultures and involving the overwhelming majority of people at some point in their lives. Efforts to find cultures, even very remote and isolated ones, without some form of religion and prayer have failed. To say prayer is nearly universal is not, however, to say all prayer is the same. Whose view of prayer is right? Those who champion the mystical inward turn or those who reject it as too “Eastern” and not fully biblical? The mystics were often seeking a kind of self-salvation through meditation. I believe Heiler is right in this regard—that prayer is ultimately a verbal response of faith to a transcendent God’s Word and his grace, not an inward descent to discover we are one with all things and God. Heiler’s “prophetic” prayer is closer to the biblical understanding of prayer than that of the other thinkers we have surveyed. From the biblical point of view, the near-universal phenomenon of prayer is not surprising. All human beings are made in the “image of God” (Gen 1:26–27). Bearing God’s image means that we are designed to reflect and relate to God. English theologian John Owen also believed that the natural impulse to pray is present in all people, that it is “original in the law of nature” and a “natural, necessary, fundamental acknowledgement of that Divine Being.” He added that many non-Christian religions and cultures put Christians to shame in the diligence of their prayers. We can define prayer as a personal, communicative response to the knowledge of God. All human beings have some knowledge of God available to them. At some level, they have an indelible sense that they need something or someone who is on a higher plane and infinitely greater than they are. Prayer is seeking to respond and connect to that being and reality, even if it is no more than calling out into the air for help. Prayer, then, is a response to the knowledge of God, but it works itself out at two levels. At one level, prayer is a human instinct to reach out for help based on a very general and unfocused sense of God. It is an effort to communicate, but it cannot be a real conversation because the knowledge of God is too vague. At another level, prayer can be a spiritual gift. Christians believe that through the Scripture and the power of the Holy Spirit, our understanding of God can become unclouded. Through the Word and Spirit, prayer becomes answering God—a full conversation. Prayer is responding to God. In all cases God is the initiator—“hearing” always precedes asking. God comes to us first or we would never reach out to him. The clearer our understanding of who God is, the better our prayers. Instinctive prayer is like an emergency flare in reaction to a general sense of God’s reality. Prayer as a spiritual gift is a genuine, personal conversation in reply to God’s specific, verbal revelation. Communication can lead to two-way personal revelation that produces what can only be called a dynamic experience. The power of our prayers, then, lies not primarily in our effort and striving, or in any technique, but rather in our knowledge of God. Through Christ, prayer becomes what Scottish Reformer John Knox called “an earnest and familiar talking with God,” and John Calvin called an “intimate conversation” of believers with God, or elsewhere “a communion of men with God”—a two-way communicative interaction. We have learned that prayer is both an instinct and a spiritual gift. As an instinct, prayer is a response to our innate but fragmentary knowledge of God. As a gift of the Spirit, however, prayer becomes the continuation of a conversation God has started. Christian prayer is fellowship with the personal God who befriends us through speech. The biblical pattern entails meditating on the words of Scripture until we respond to God with our entire being, saying, “Give me an undivided heart, that . . . I may praise you, Lord my God, with all my heart” (Ps 86:11–12). God’s words, however, cannot fail their purposes because, for God, speaking and acting are the same thing. “Thus (we may say) God has invested himself with his words, or we could say that God has so identified himself with his words that whatever someone does to God’s words . . . they do to God himself. . . . God’s . . . verbal actions are a kind of extension of himself. The conclusion is clear. God acts through his words, the Word is “alive and active” (Heb 4:12), and therefore the way to have God dynamically active in our lives is through the Bible. To understand the Scripture is not simply to get information about God. If attended to with trust and faith, the Bible is the way to actually hear God speaking and also to meet God himself. We know who we are praying to only if we first learn it in the Bible. And we know how we should be praying only by getting our vocabulary from the Bible. Our prayers should arise out of immersion in the Scripture. We should “plunge ourselves into the sea” of God’s language, the Bible. We should listen, study, think, reflect, and ponder the Scriptures until there is an answering response in our hearts and minds. That response to God’s speech is then truly prayer and should be given to God. Your prayer must be firmly connected to and grounded in your reading of the Word. This wedding of the Bible and prayer anchors your life down in the real God. The Psalms reveal a great range in the modes of prayer. We would never produce the full range of biblical prayer if we were initiating prayer according to our own inner needs and psychology. It can only be produced if we are responding in prayer according to who God is as revealed in the Scripture. In every case the nature of the prayer is determined by the character of God, who is at once our friend, father, lover, shepherd, and king. We must not decide how to pray based on what types of prayer are the most effective for producing the experiences and feelings we want. We pray in response to God himself. God’s Word to us contains this range of discourse—and only if we respond to his Word will our own prayer life be as rich and varied. We should not decide how to pray based on the experiences and feelings we want. Instead, we should do everything possible to behold our God as he is, and prayer will follow. The more clearly we grasp who God is, the more our prayer is shaped and determined accordingly. David wanted to build God a place that displayed his glory. God said, in effect, that he had a counterproposal. He would establish David’s royal family line and it would ultimately reveal God’s glory in a more permanent, far-reaching, and universal way. The Word of God created within David the desire, drive, and strength to pray. The principle: God speaks to us in his Word, and we respond in prayer, entering into the divine conversation, into communion with God. We who believe in him will ourselves become God’s “house”—a temple of living stones indwelt by the Holy Spirit. David found the heart to pray when he received God’s Word of promise—that he would establish his throne and build him a house. Christians, however, have an infinitely greater Word of promise. God will not merely build us a house, he will make us his house. He will fill us with his presence, beauty, and glory. Every time Christians merely remember who they are in Christ, that great word comes home to us and we will find, over and over again, a heart to pray. We do not want just to know about God, but to know God, to seek his face and presence. The primary theological fact about prayer is this: We address a triune God, and our prayers can be heard only through the distinct work of every person in the Godhead. There are three persons within the unity of God’s being, who are equally divine, who know and love one another, and who from all eternity have together worked for our salvation. The implications of the Triunity of God for prayer are many. It means, to begin with, that God has always had within himself a perfect friendship. We can see why a triune God would call us to converse with him, to know and relate to him. It is because he wants to share the joy he has. Prayer is our way of entering into the happiness of God himself. To be a child of God means access. We know God is attentively listening to us and watching us. Prayer is the way to sense and appropriate this access and fatherly love, and to experience the calm and strength in one’s life that results from such assurance of being cared for. You know that God responds to your cry with the intense love and care of a parent responding to the cry of pain of his or her child—because you are in Jesus, the true Son. You can go to God with the confidence of receiving that kind of attention and love. We come to the Father not only in the Spirit but through the Son. We can only be confident that God is our father if we come to him through the mediation of Christ, in Jesus’ name. How could God be our intimate friend? How could we approach him with complete confidence? It is because God became like us, equally mortal and subject to suffering and death. He did it so we could be forgiven and justified by faith apart from our efforts and merits. That is why we can draw near. This leads us to an important related directive of the New Testament regarding Christian prayer—Jesus taught his disciples that they must always pray in his name. That’s the ground motive of Spirit-directed, Christ-mediated prayer—to simply know him better and enjoy his presence. In our natural state we pray to God to get things. When life is going smoothly, and our truest heart treasures seem safe, it does not occur to us to pray. Seldom or never do we spend sustained time adoring and praising God. In short, we have no positive, inner desire to pray. We do it only when circumstances force us. For most of us, he has not become our happiness. We therefore pray to procure things, not to know him better. All this changes when we discover that we have been mired all our lives in forms of self-salvation, and we turn to Christ. John Calvin argues that you may know a lot about God, but you don’t truly know God until the knowledge of what he has done for you in Jesus Christ has changed the fundamental structure of your heart. Without the gospel, there is no possibility of passion and delight to praise and approach the true God. Jesus lost his relationship with the Father so that we could have a relationship with God as father. Jesus was forgotten so that we could be remembered forever—from everlasting to everlasting. Jesus Christ bore all the eternal punishment that our sins deserve. That is the cost of prayer. Jesus paid the price so God could be our father. Prayer turns theology into experience. Through it we sense his presence and receive his joy, his love, his peace and confidence, and thereby we are changed in attitude, behavior, and character. We turn first to three of the greatest teachers in the history of the Christian church—St. Augustine, Martin Luther, and John Calvin. Each of them wrote extensively on prayer in many places, but each of them also produced one timeless classic—three “master classes”—on the subject. Augustine and Luther each wrote a personal letter to an individual on how to pray, while Calvin included a magisterial treatment of prayer in his summary of doctrine, the Institutes. Augustine’s first principle is that before you know what to pray for and how to pray for it, you must become a particular kind of person. “You must account yourself ‘desolate’ in this world, however great the prosperity of your lot may be.” The scales must have fallen from your eyes and you must see clearly that no matter how great your earthly circumstances become, they can never bring you the lasting peace, happiness, and consolation that are found in Christ. Unless you have that clearly in view, your prayers may go wrong. Here again is one of the main themes of Augustine’s theology, applied to prayer. We must see that our heart’s loves are “disordered,” out of order. Unless at the very least we recognize this heart disorder and realize how much it distorts our lives, our prayers will be part of the problem, not an agent of our healing. If we have made God our greatest love, and if knowing and pleasing him is our highest pleasure, it transforms both what and how we pray for a happy life. Once you have learned to pray in full awareness of the disorderedness of your heart and where true joys are found, he says, you can be guided in the specifics of how to pray by studying the Lord’s Prayer. Think long and hard about this great model of prayer and be sure your own appeals fit it. Augustine’s fourth principle is about prayer in the dark times. Even the most godly Christians can’t be sure what to ask for when we are enmeshed in difficulties and suffering. Augustine concludes, pour out your heart’s desire, but remember the wisdom and goodness of God as you do so. Martin Luther’s most famous writing on prayer was also in the form of a letter to a friend. Peter Beskendorf was the barber who shaved Luther and cut his hair. One day Peter asked Luther to give him a simple way to pray. To begin with, Luther counsels the cultivation of prayer as a habit through regular discipline. He proposes praying twice daily. Next, Luther proposes ways to focus our thoughts and to warm and engage our affections for prayer. Luther proposes a preparation for prayer. He advises what he calls “recitation to yourself” of some part of the Scripture such as “the Ten Commandments [or] the words of Christ, etc.” This recitation is a form of meditation (or “contemplation,” as Luther calls it) of the Scripture, but it is not mere Bible study. It is taking words of the Scripture and pondering them in such a way that your thoughts and feelings converge on God. After advising meditation, Luther describes how to do it. First, we are to discern the “instruction” of a text. That means we must distill its essential content, what the passage wants us to believe or do. This is the work of interpreting the biblical passage. Luther calls it the “school text” part of meditation. Once we have drawn out the “instruction”—put the teaching of the text in a nutshell—then we ask how this teaching particularly leads us to praise and thank God, how it leads us to repent and confess sin, and how it prompts us to appeal to God in petition and supplication. A rich spectrum of insights can be immediately lifted to God as prayer. Those who have practiced this particular discipline of meditation know that as it proceeds it creates its own energy. It ingeniously forces you off the theoretical plane to consider what that biblical truth you are pondering should actually do to you and in you—how it should lead you to praise God, to repent and change your heart, and also what it should lead you to do in the world. Over time this meditative habit of mind will often exert itself during the day, naturally turning your heart toward God. You may find many things you hear, see, and read spontaneously leading you to repent, and to praise and petition God. Luther gives brief yet full examples of how he meditates on each of the Ten Commandments. They are not exactly Bible study, yet not exactly prayer. They are thinking in the presence of God—meditation. Luther suggests that after meditating on the Scripture, you should pray through each petition of the Lord’s Prayer, paraphrasing and personalizing each one using your own needs and concerns. The value of this exercise is manifold. It addresses one of the great practical difficulties of prayer—distracting thoughts. Ordinary prayer, which is either completely extempore or based on a list of prayer needs, often cannot draw the mind’s attention fully away from what occupied it previously. The exercise of elaborating on the Lord’s Prayer commands the full mental faculty, and this helps greatly with the problem of giving God full attention. Also, praying the Great Prayer forces us to use all the full language and basic forms of prayer. If left to ourselves we are likely to pray only about the items that most trouble us at the moment. Praying the Lord’s Prayer forces us to look for things to thank and praise God for in our dark times, and it presses us to repent and seek forgiveness during times of prosperity and success. It disciplines us to bring every part of our lives to God. Finally, praying the Lord’s Prayer, unlike meditation on a passage of Scripture, is actual prayer. It is address to God—with the authority of Jesus’ own words. To summarize this point—Luther says we should start with meditation on a text we have previously studied, then after praising and confessing in accordance with our meditation, we should paraphrase the Lord’s Prayer to God. Finally, we should just pray from the heart. This full exercise, he adds, should be done twice a day. Luther gives one more piece of advice. He calls praying believers to essentially keep a lookout for the Holy Spirit. The balance here is noteworthy and rarely found in other works on prayer. Luther expects that we will hear God speak through his Word. To paraphrase Luther’s little treatise—he tells us to build on our study of the Scripture through meditation, answering the Word in prayer to the Lord. As we do that, we should be aware that the Holy Spirit may begin “preaching” to us. When that happens, we must drop our routines and pay close attention. Calvin calls Christians first of all to have a due sense of the seriousness and magnitude of what prayer is. It is a personal audience and conversation with the Almighty God of the universe. What, then, should a Christian be afraid of regarding God? Think of it like this. Imagine that you suddenly are introduced to some person you have always admired enormously—perhaps someone you have hero-worshipped. Your joyful admiration has a fearful aspect to it. You are in awe, and therefore you don’t want to mess up. Because of unutterable love and joy in God, we tremble with the privilege of being in his presence and with an intense longing to honor him when we are there. We are deeply afraid of grieving him. Calvin says that this sense of awe is a crucial part of prayer. Prayer both requires it and produces it. Calvin’s second rule for prayer is “the sense of need that excludes all unreality.” Calvin is here referring to what could be called “spiritual humility.” It includes both a strong sense of our dependence on God, in general, and a readiness to recognize and repent our own faults in particular. Calvin is simply telling us to drop all pretense, to flee from all phoniness. Crucial to true prayer, then, is confession and repentance. Again, prayer both requires and produces this humility. Prayer brings you into God’s presence, where our shortcomings are exposed. Then the new awareness of insufficiency drives us to seek God even more intensely for forgiveness and help. To the degree you can shed the “unreality” of self-sufficiency, to that degree your prayer life will become richer and deeper. Calvin’s third and fourth rules for prayer should be paired and considered together. His third rule is that we should have a submissive trust of God. “Anyone who stands before God to pray . . . [must] abandon all thoughts of his own glory.” We are to trust in him even when things are not going as we wish them to go. One of the purposes of prayer is to bring our hearts to trust in his wisdom, not in our own. It is to say, “Here’s what I need—but you know best.” It is to leave all our needs and desires in his hands in a way that is possible only through prayer. The fourth rule is just as crucial and must be kept beside the third. We are to pray with confidence and hope. If God’s will is always right, and submission to it is so important, why pray for anything with fervor and confidence? Calvin lists the reasons. God invites us to do so and promises to answer prayers—because he is good and our loving heavenly Father. Also, God often waits to give a blessing until you have prayed for it. Why? Good things that we do not ask for will usually be interpreted by our hearts as the fruit of our own wisdom and diligence. Gifts from God that are not acknowledged as such are deadly to the soul, because they thicken the illusion of self-sufficiency that leads to overconfidence and sets us up for failure. Finally, Calvin argues that these two balancing truths are not only not contradictory but are complementary. There are many goods that God will not give us unless we honor him and make our hearts safe to receive them through prayer. But on the other hand—what thoughtful persons, knowing the limits of their own wisdom, would dare to pray if they thought God would invariably give them their wishes? God will not give us anything contrary to his will, and that will always include what is best for us in the long run (Rom 8:28). We can, therefore, pray confidently because he won’t give us everything we want. If we hold Calvin’s third and fourth rules together, it creates enormous incentive to pray. Don’t be afraid that you will ask for the wrong thing. Finally, where you do not get an answer, or where the answer is not what you want, use prayer to enable you to rest in his will. After Calvin expounded his four rules for prayer, he added an extended “coda” so significant that most readers understand it as a fifth rule. The fifth rule is actually a major qualification of the very word rule. Calvin’s fifth rule is the rule of grace. He urges us to not conclude that following any set of rules could make our prayers worthy to be heard. Nothing we formulate or do can qualify us for access to God. Only grace can do that—based not on our performance but on the saving work of Christ. Only when we see we cannot keep the rules, and need God’s mercy, can we become people who begin to keep the rules. The rules do not earn or merit God’s attention but rather align our prayers with who God is—the God of free grace—and thereby unite us to him more and more. For as soon as God’s dread majesty comes to mind, we cannot but tremble and be driven far away by the recognition of our own unworthiness, until Christ comes forward as intermediary, to change the throne of dreadful glory into the throne of grace. Praying in Jesus’ name, then, is not a magic formula. We must not think it means that only if we literally enunciate the words “in Jesus’ name” will our prayers be answered. To pray in Jesus’ name means to come to God in prayer consciously trusting in Christ for our salvation and acceptance and not relying on our own credibility or record. It is, essentially, to reground our relationship with God in the saving work of Jesus over and over again. It also means to recognize your status as a child of God, regardless of your inner state. God our Father is committed to his children’s good, as any good father would be. None of our three master teachers of prayer, Augustine, Luther, and Calvin, developed their instruction primarily based on their own experiences. In each case, what they believed and practiced regarding prayer grew mainly out of their understanding of the ultimate master class in prayer—the Lord’s Prayer in Matthew 6:9–13, in the heart of Jesus’ Sermon on the Mount. In this chapter we will look at the Lord’s Prayer through the insights of our three master teachers, thereby drawing out the fullness of their wisdom—and the depths of Jesus’ prayer itself—on this subject. The Lord’s Prayer may be the single set of words spoken more often than any other in the history of the world. Jesus Christ gave it to us as the key to unlock all the riches of prayer. Yet it is an untapped resource, partially because it is so very familiar. How do we overcome the deadly peril of familiarity? One of the best ways is to listen to these three great mentors, who plumbed the depths of the prayer through years of reflection and practice. Luther also believed the address was a call to not plunge right into talking to God but to first recollect our situation and realize our standing in Christ before we proceed into prayer. A seeming problem of logic, expressed by Luther. “What are we praying for when we ask that His name become holy? This, then, is a “Lordship” petition: It is asking God to extend his royal power over every part of our lives—emotions, desires, thoughts, and commitments. We are asking God to so fully rule us that we want to obey him with all our hearts and with joy. To pray “thy kingdom come” is to “yearn for that future life” of justice and peace. Only if we trust God as Father can we ask for grace to bear our troubles with patience and grace. This is the one part of the Lord’s Prayer Jesus himself prayed in the Garden of Gethsemane, under circumstances far more crushing than any of us will ever face. He submitted to his Father’s will rather than following his own desires, and it saved us. That’s why we can trust him. Calvin adds that to pray “thy will be done” is to submit not only our wills to God but even our feelings, so that we do not become despondent, bitter, and hardened by the things that befall us. The beginning of prayer is all about God. We are not to let our own needs and issues dominate prayer; rather, we are to give pride of place to praising and honoring him, to yearning to see his greatness and to see it acknowledged everywhere, and to aspiring to full love and obedience. First, because it heals the heart of its self-centeredness. Augustine reminds us that “daily bread” is a metaphor for necessities rather than luxuries. For Luther, then, to pray for our daily bread is to pray for a prosperous and just social order. The fifth petition concerns our relationships, both with God and others. In the presence of God everyone must duck his head and come into the joy of forgiveness only through the low door of humility. If regular confession does not produce an increased confidence and joy in your life, then you do not understand the salvation by grace, the essence of the faith. Jesus tightly links our relationship with God to our relationship with others. Unresolved bitterness is a sign that we are not right with God. It also means that if we are holding a grudge, we should see the hypocrisy of seeking forgiveness from God for sins of our own. Temptation in the sense of being tried and tested is not only inevitable but desirable. The Bible talks of suffering and difficulty as a furnace in which many impurities of soul are “burned off” and we come to greater self-knowledge, humility, durability, faith, and love. However, to “enter into temptation,” as Jesus termed it (Matt 26:41), is to entertain and consider the prospect of giving in to sin. Calvin combined this phrase with “lead us not into temptation” and called it the sixth and last petition. Augustine and Luther, however, viewed “deliver us from evil” as a separate, seventh petition. This seventh petition is for protection from evil outside us, from malignant forces in the world, especially our enemies who wish to do us harm. Augustine does not mention it because it was not in most earlier manuscripts of the Bible or in the Latin Vulgate. Luther does not treat it. After descending into our needs, troubles, and limitations, we return to the truth of God’s complete sufficiency. Like Luther in A Simple Way to Pray, Calvin insists that the Lord’s Prayer does not bind us to its particular form of words but rather to its content and basic pattern. The Lord’s Prayer is a summary of all other prayers, providing essential guidance on emphasis and topics, on purpose and even spirit. Prayer is therefore not a strictly private thing. As much as we can, we should pray with others both formally in gathered worship and informally. Why? If the substance of prayer is to continue a conversation with God, and if the purpose of it is to know God better, then this can happen best in community. Lewis thinks, that the angels in Isaiah 6 are crying, “Holy, Holy, Holy” to one another. Each angel is communicating to all the rest the part of the glory it sees. Calvin wrote more theologically, drawing out the implications of the doctrines of God, of sin, of Christ, and of the gospel for the pursuit of prayer. Luther’s teaching on prayer is highly practical, because he was writing to a simple man who was asking for a concrete way to pray. Augustine came at prayer from the most existential perspective, focusing most on the motives of the heart. If our prayers are not done with dependence on Jesus (John 16:24–26) or with faith (James 1:6)—if they are done with selfish motives (James 4:3), or if we try to pray while willfully disobeying God in some area of life (Ps 66:18)—then our prayers may not be “powerful and effective” (James 5:16). Twelve touchstones by which we can judge the relative strength or weakness of our prayers for honoring and connecting us to God. I have grouped them into four clusters of three each. What Prayer Is Work—Prayer Is a Duty and a Discipline Prayer should be done regularly, persistently, resolutely, and tenaciously at least daily, whether we feel like it or not. We should pray even if we are not getting anything out of it. Prayer is striving. This means sticking with prayer through the ups and downs of feelings. Prayer also tends to have cumulative effect. Prayer is always hard work, and often an agony. We sometimes have to wrestle even in order to pray. Prayer in Jesus’ name and the power of the Spirit is the restoration of that single most precious thing we had with God in the beginning—free communication with him. There are two ways of understanding prayer as a dialogue. The first is to understand prayer as responding to God’s voice discerned subjectively within the heart. The other way is to understand God as primarily speaking to us through the Scripture. The Lord’s Prayer and the Psalter, the Bible’s prayer book, show that all these “grammars,” or dimensions of prayer, are crucial to use. However, none of these forms of prayer should be preferred to any other. All these ways of praying to God should be present, interactive, and balanced when we pray. Jesus’ name is shorthand for his divine person and saving work. While it is not at all improper to address the Son or the Spirit, ordinarily prayer will be addressed to the Father with gratitude to the Son and dependence on the Spirit. Packer uses an interesting rule of thumb. “I pray to the Father through the mediation of the Son and the enabling of the Holy Spirit. We know that the heart should be “engaged” in prayer. Prayer must not be only a recitation of words. One important sign of an engaged heart is awe before the greatness of God and before the privilege of prayer. “Loving awe” conveys that we should approach God with neither a sentimental or casual familiarity nor a stilted, remote formality. Prayer and helplessness are inseparable. Such prayer is just an outworking of gospel faith, because only the one who confesses complete spiritual bankruptcy can receive Christ’s salvation. Many people get into situations where they feel so destitute and helpless that they don’t want to pray. Prayer, however, is made for those who have no other recourse, no other resort. In short, if you want to pray, you don’t have to be anxious about whether God will listen. What Prayer Gives Perspective—Prayer Reorients Your View toward God Prayer in all its forms—adoration, confession, thanksgiving, and petition—reorients your view and vision of everything. Prayer brings new perspective because it puts God back into the picture. Prayer brings perspective, shows the big picture, gets you out of the weeds, and reorients you to where you really are. The basic idea is that all the benefits of Christ’s salvation—pardon, peace, God’s love for us—that have been objectively secured for us must be personally appropriated for daily life. Prayer is the way that all the things we believe in and that Christ has won for us actually become our strength. Prayer is the way that truth is worked into your heart to create new instincts, reflexes, and dispositions. Through prayer our somewhat abstract knowledge of God becomes existentially real to us. In prayer you can come into the presence of God. We have already noted that prayer cannot begin without humility. Prayer, however, must eventually take us beyond a mere sense of insufficiency into deep honesty with ourselves. Honesty in prayer before an omniscient God would seem to be obvious, but instead we often mouth prayerful platitudes without taking the time or making the effort to expose to God and ourselves our deepest fears, hurts, flaws, and sins. It is a simple fact that the nearer we get to supreme beauty or intelligence or purity, the more we are aware of our own unsightliness, dullness, and impurity. We cannot truly know God better without coming at the same time to know ourselves better. It also works the other way around. If I am in denial about my own weakness and sin, there will be a concomitant blindness to the greatness and glory of God. The final thought of every prayer must be for the help we need to accept thankfully from God’s hand whatever he sends in his wisdom. Though we must always end prayers with “nevertheless, thy will be done,” our prayers should nonetheless begin with great striving with God. Prayer is not a passive, calm, quiet practice. A balance between these two required attitudes—restful trust and confident hope—is absolutely crucial. If we overstress submission, we become too passive. However, if we overstress “importunity,” if we engage in petitionary prayer without a foundation of settled acceptance of God’s wisdom and sovereignty, we will become too angry when our prayers are not answered. In either case—we will stop praying patient, long-suffering, persistent yet non-hysterical prayers for our needs and concerns. We must avoid extremes—of either not asking God for things or of thinking we can bend God’s will to ours. We must combine tenacious importunity, a “striving with God,” with deep acceptance of God’s wise will, whatever it is. A commitment to put God first and love and follow him supremely is necessary before God can grant our prayers without harming us. You should not begin to pray for all you want until you realize that in God you have all you need. That is, unless we know that God is the one thing we truly need, our petitions and supplications may become, simply, forms of worry and lust. We can use prayer as just another way to pursue many things that we want too much. Not only will God not hear such prayers (because we ask for things selfishly to spend on our lusts [James 4:2–3]), but the prayers will not reorient our perspective and give us any relief from the melancholy burden of self-absorption. Prayer—though it is often draining, even an agony—is in the long term the greatest source of power that is possible. Grace: Prayer is “In Jesus’ name,” based on the gospel. Helplessness: Prayer is accepting one’s weakness and dependence. What It Gives Perspective: Prayer reorients your view toward God. Strength: Prayer is spiritual union with God. Spiritual Reality: Prayer seeks a heart sense of the presence of God. Where It Takes Us Self-Knowledge: Prayer requires and creates honesty and self-knowledge. Trust: Prayer requires and creates both restful trust and confident hope. Surrender: Prayer requires and creates surrender of the whole life in love to God. If prayer is to be a true conversation with God, it must be regularly preceded by listening to God’s voice through meditation on the Scripture. The Psalms are the prayer book of the Bible, but it is noteworthy that the first Psalm is not a prayer per se but a meditation. There is a “middle ground,” however, between prayer and Bible study, a kind of bridge between the two. While deep experiences of the presence and power of God can happen in innumerable ways, the ordinary way for going deeper spiritually into prayer is through meditation on Scripture. According to Psalm 1, meditation promises at least three things. The first is stability. The person experienced in meditation is like a tree rooted so that wind cannot blow it away. Meditation, then, is what gives you stability, peace, and courage in times of great difficulty, adversity, and upheaval. Meditation also brings the promise of substance, of character. Persons who meditate become people of substance who have thought things out and have deep convictions, who can explain difficult concepts in simple language, and who have good reasons behind everything they do. Meditation bears fruit, which in the Bible means character traits such as love, joy, peace, patience, humility, self-control (Gal 5:22ff). Real meditation, then, does not merely make us feel “close to God” but changes our life. Finally, meditation brings blessedness—a very fulsome idea in the Bible. It means peace and well-being in every dimension. It means character growth, stability, and delight (Ps 1:2). Meditating on the law of the Lord, the Scripture, moves us through duty toward joy. The biblical promises for meditation are enormous. There is no better way to meditate on a verse and draw out all the aspects, implications, and richness of its meaning than to memorize it. Meditate is to ask yourself questions about the truth, such as: “Am I living in light of this? What difference does this make? Am I taking this seriously? If I believed and held to this, how would that change things? When I forget this, how does that affect me and all my relationships?” In every case, meditation means to use the mind intensely. Meditation means to use the mind intensely. Meditation on a text of the Bible assumes that, through study and interpretation, you already know something about what the text means. You can’t reflect on or enjoy what you don’t understand. To understand a section of Scripture means answering two basic questions about it. First, what did the original author intend to convey to his readers in this passage? Second, what role does this text play in the whole Bible; how does it contribute to the gospel message and move along the main narrative arc of the Bible, which climaxes in the salvation of Jesus Christ? Unless you first do the hard work of answering those questions about a text, your meditations won’t be grounded in what God is actually saying in the passage. A great number of books advise “divine reading” of the Bible today, and define the activity uncarefully as reading “not for information but to hear a personal word of God to you.” This presents a false contrast. Biblical meditation is founded on the work of sound biblical interpretation and study. Meditation is spiritually “tasting” the Scripture—delighting in it, sensing the sweetness of the teaching, feeling the conviction of what it tells us about ourselves, and thanking God and praising God for what it shows us about him. Meditation is also spiritually “digesting” the Scripture—applying it, thinking out how it affects you, describes you, guides you in the most practical way. It is drawing strength from the Scripture, letting it give you hope, using it to remember how loved you are. To shift metaphors, meditation is taking the truth down into our hearts until it catches fire there and begins to melt and shape our reactions to God, ourselves, and the world. The British theologian John Owen believed there are three basic movements or stages within meditation. It is distinguished from the study of the word, wherein our principal aim is to learn the truth, or to declare it unto others; and so also from prayer, whereof God himself is the immediate object. But . . . meditation . . . is the affecting of our own hearts and minds with love, delight, and [humility]. There are many traditional ways to get such a clear view of a text. One is to read the biblical text slowly, answering four questions: What does this teach me about God and his character? About human nature, character, and behavior? One is to read the biblical text slowly, answering four questions: What does this teach me about God and his character? About human nature, character, and behavior? About Christ and his salvation? About the church, or life in the people of God? Another approach to meditating on the Scripture, especially with a short passage, is to take one crucial verse and think through it by emphasizing each word. Ask what each word uniquely contributes to the meaning of the text, or what meaning would be lost from the statement if that particular word were removed. Another way to fix the mind on the truth of the passage is to paraphrase the verse in your own words. Read the verse(s) and close the Bible and try to restate it. Then look back at the passage and you will see how much you missed. Do this until you are satisfied with your paraphrase. This kind of meditation forces you to think more deeply about the text than you would otherwise. Paraphrase the verse in your own words. Read the verse(s) and close the Bible and try to restate it. A final way to meditate on a text is to memorize it. After engaging the mind, John Owen says the second part of meditation is inclining the heart. After engaging the mind to clearly see what we are being taught about God, Christ, salvation, eternity, and our own state, we must then seek to incline the heart until its hope and joy more fully rests in those things. It means seeing how God’s truth should be affecting you, your life, and all your relationships—and then pleading and preaching to your heart until it connects to the truth and begins to turn away from its false hopes and to change its attitudes, feelings, and commitments. How do you do this practically? One way is Martin Luther’s approach. After fixing the truth in the mind as instruction, he asks how it shows you something about the character of God for which you can praise him, something wrong about yourself for which you can repent, and something that is needed for which you can petition him. In each case, Luther is working the truth into his relationship to God, to himself, and to the world. Another way of discerning how a truth can change you is to look more deeply at yourself. A final way you can discern how a scriptural truth should change you is by considering the timing of your insight. Why might God be showing this to you today? What is going on now in your life to which this would be relevant? What, then, is the third stage of meditation? It may be that the heart senses the presence of God and the realities of his salvation in a moving way. Owen calls us, then, to stop and savor it. He admits that sometimes, no matter what we do, we simply cannot concentrate, or we find our thoughts do not become big and affecting, but rather we feel bored, hard, and distracted. Then, Owen says, simply turn to God and make brief, intense appeals for help. Sometimes that is all you will do the rest of your scheduled time, and sometimes the very cries for help serve to concentrate the mind and soften the heart. Meditation means analyzing the truth with the mind; bringing it into the feelings, attitudes, and commitments of the heart; and then responding to the degree to which the Holy Spirit gives illumination and spiritual reality. Meditation is thinking a truth out and then thinking a truth in. Jesus is supremely the one also on whom we meditate, because he is the meditation of God. He is God’s truth become “real,” made concrete, and applied. He is the one who enables us to stand in the Judgment Day. He is the one who gives us the fruit of the Spirit (Gal 5:22). We must both meditate on him and with him, and then, not only will Psalm 1 come to life in new ways, but we will become unshakable trees, as he was. Meditate on the righteousness we have in Christ through his sacrificial death. Meditate on Jesus, who is the ultimate meditation of God. Look at him loving you. Look at him dying for you. Look at him rejoicing in you. Look at him singing over you (Zeph 3:17). Look at all that, and he will be a delight to you, and then the law will be a delight to you, and you will be like a tree planted by streams of water. You’ll bear your fruit in season, and no matter what will happen, your leaf will not wither. We must not settle for an informed mind without an engaged heart. What kind of experience should be expected and how should it be sought? At one level, Christians have these things. At another level, they haven’t experienced them. It is one thing to know of the love of Christ and to say, “I know he did all that.” It is another thing to grasp how wide and long and high and deep is the love of Christ. What is common to all these moments is that you sense the power of what you have been given in Christ so that your attitudes, feelings, and behavior are altered. You may have many specific problems and issues that need to be faced and dealt with through various specific means. Yet the root problem of them all is that you are rich in Christ but nevertheless living poor. We may mentally assent to the idea of Jesus’ love for us, yet our hearts are committed to finding love through popular acclaim. In such a case the inner being has not been affected by what the mind believes. The Spirit must prepare it to be reshaped and formed by the truth. He asks that the Holy Spirit will sensitize our hearts so that we taste these truths, spiritually speaking, or—as he says in Ephesians 1:18, when he prays that “the eyes of your heart may be enlightened”—that we see them, spiritually speaking. Another aspect of communion with God is a deeper understanding and the appropriation of our family relationship with the Father. Part of the mission of the Spirit is to tell you about God’s love for you, his delight in you, and the fact that you are his child. These things you may know in your head, but the Holy Spirit makes them a fiery reality in your life. When the Holy Spirit comes down on you in fullness, you can sense your Father’s arms beneath you. It is an assurance of who you are. At a minimum this means joy, and a lack of fear and self-consciousness. Paul says to the Christians, everybody he is writing to at Philippi, “I am convinced…..that he who began a good work in you will carry it on to completion until the day of Christ Jesus.” Not “may.” Will. His love is infinitely long. God put his love on you in the depths of time, and he will never remove it from you. Why? Because salvation is by grace. It is not by works. It is not given to you because of what you do. It has begun in the depths of time and will last into eternity. It is infinitely long. Because of the gospel, you can know that God’s love is infinitely wide and infinitely long because it was infinitely deep. God’s love is also infinitely high. Spiritual experience consists of luminous truth and profound assurance of God’s fatherly love. To seek God’s face is not to find some place in space where God is located. Rather, it is to have our hearts enabled by the Holy Spirit to sense his reality and presence. Because of his shed blood and forgiveness, we can have a nearness to God that was not possible before. Jesus’ person and work is the breakthrough for any who want to draw near and seek God’s face. Throughout Owen’s writing, he returns continually to the subject of what has been called the beatific vision. The term describes the direct sight of the glory of God. This is what the redeemed will have in heaven fully, by sight, and what believers have now on earth partially, by faith and not yet with our literal eyes. Owen held that, unless you learn how to behold the glory of Christ, you are not actually living a truly Christian life in this world. When Paul spoke of beholding Christ’s glory, he could not be talking of mere belief that Jesus was glorious. Rather, “the affecting power of it upon our hearts is that which we should aim at. . . . Doth it not fill and satiate. . . with joy, rest, delight…. and ineffable satisfaction? To behold the glory of Jesus means that we begin to find Christ beautiful for who he is in himself. He reasoned that if the beauty and glory of Christ do not capture our imaginations, dominate our waking thought, and fill our hearts with longing and desire—then something else will. We will be “continually ruminating” on something or some things as our hope and joy. Prayer became not just a time of going through his list of requests but also a time of adoration, confession, and simply enjoying God. If we want to be sure to experience this vision by sight hereafter, we must know it by faith now. If we want freedom from being driven by fear, ambition, greed, lust, addictions, and inner emptiness, we must learn how to meditate on Christ until his glory breaks in upon our souls. Owen promotes what could be called a radically biblical mysticism. It comes through meditation on Scripture, on theological truth, on the gospel—but it must break through to real experience of God. If doctrinal soundness is not accompanied by heart experience, it will lead eventually to nominal Christianity—that is, in name only—and eventually to nonbelief. The irony is that many conservative Christians, most concerned about conserving true and sound doctrine, neglect the importance of prayer and make no effort to experience God, and this can lead to the eventual loss of sound doctrine. Owen believes that Christianity without real experience of God will eventually be no Christianity at all. It is possible to use techniques of meditation and imagination to create changes in consciousness that are not tied at all to the reality of who God is. Owen argues that wordless prayer, while sometimes occurring, is never prescribed or seen as an ideal. In Luke 11, Jesus told his disciples to use words. In 1 Corinthians 14, Paul urged Christians to “pray with the mind” in words. That’s a remarkable thing for a Puritan to say. If we are going to be imbalanced, better that we be doctrinally weak and have a vital prayer life and a real sense of God on the heart than that we get all our doctrine straight and be cold and spiritually hard. With this in mind, I think Protestants who find the biblical mysticism of a John Owen or a Jonathan Edwards appealing should read the medieval mystics with appreciation but also plenty of caution. Nevertheless, (Carl) Trueman says of the medieval mystics, “There is a sense of God’s holiness and transcendence in these works that is significantly absent from much modern writing and thinking about God. There are three basic kinds of prayer to God. There is “upward” prayer—praise and thanksgiving that focuses on God himself. We could call this the “prayer of awe.” Then there is “inward” prayer—self-examination and confession that bring a deeper sense of sin and, in return, a higher experience of grace and assurance of love. That is the prayer of intimacy. Finally, there is “outward” prayer—supplication and intercession that focuses on our needs and the needs of others in the world. This prayer requires perseverance and often entails struggle. In Jesus’ instruction on prayer, the Lord’s Prayer, praise comes first. Praise motivates the other kinds of prayer. The more we attend to God’s perfect holiness and justice, the more readily we will see our own flaws and confess them. Seeing God’s greatness also leads to supplication. The more we sense his majesty and the more we realize our dependence on him, the more readily we will go to him for every need. We could say that awe-filled adoration of God corrects the other forms of prayer. Praise and adoration are the necessary preconditions for the proper formulation and motivation of all the other kinds of prayer. Another reason for the primacy of praise is that it has such power to heal what is wrong with us and create inner spiritual health. C.S. Lewis answered: I think we delight to praise what we enjoy because the praise not merely expresses but completes the enjoyment; it is its appointed consummation. It reveals that we must praise God or live in unreality and poverty. Our most fundamental identity and life behavior is a function of what we love. The ultimate reason for our misery, however, is that we do not love God supremely. If you love anything at all in this world more than God, you will crush that object under the weight of your expectations, and it will eventually break your heart. The things we love individually not only determine our character, but what a society loves collectively shapes its culture. To change people most profoundly, we must change what we worship. Ultimately we are what we adore. We are what captures our imagination, what leads us to praise and to compel others to praise it. Thanksgiving is praising God for what he has done, while “praise proper” is adoring God for who he is in himself. When good things happen to us, we would expect that they would provoke thanks and praise in the same way that bad things cause petition and supplication. Yet that is not the case. Cosmic ingratitude is living in the illusion that you are spiritually self-sufficient. It is taking credit for something that was a gift. It is the belief that you know best how to live, that you have the power and ability to keep your life on the right path and protect yourself from danger. That is a delusion, and a dangerous one. We did not create ourselves, and we can’t keep our lives going one second without his upholding power. Yet we hate that knowledge, Paul says, and we repress it. We hate the idea that we are utterly and completely dependent on God, because then we would be obligated to him and would not be able to live as we wish. We would have to defer to the one who gives us everything. Praise is the alpha prayer—the one kind of prayer that properly motivates, energizes, and shapes the others. Here are a list of my own headings, based heavily on Matthew Henry – Adoring God and Thanking God. All [true] prayer, pursued far enough, becomes praise. Prayer plunges us into the fullness of who he is, and his love becomes more real than the rejection or disappointment we are experiencing. God is forgiving yet also is so holy that he cannot let injustice and wickedness go unpunished. Throughout the pages of the Hebrew Bible we face this question: Is our covenant relationship with God conditional, based on our obedience to him, or is it unconditional, based on his love for us? In the end, will his holiness and justice be more fundamental than his love and mercy, or will it be the other way around? Will he punish us or forgive us? Jesus fulfilled the conditions of the covenant so we can enjoy the unconditional love of God. Because of the Cross, God can be both just toward sin and yet mercifully justifying to sinners. Only against the background of the Old Testament, and the great mystery of how God could fulfill his covenant with us, can we see the freeness of forgiveness and its astounding cost. It means that no sin can now bring us into condemnation, because of Christ’s atoning sacrifice. It also means that sin is so serious and grievous to God that Jesus had to die. We must recognize both of these aspects of God’s grace or we will lapse into one or the other of two fatal errors. Either we will think forgiveness is easy for God to give, or we will doubt the reality and thoroughness of our pardon. Both mistakes are spiritually deadly. When we forget the freeness of grace, the purpose of our repentance becomes the appeasement of God. It will lead only to a forced compliance of the will, not a change of view, motivation, and heart. Luther denounced this kind of legalistic repentance as self-righteous because it is essentially an attempt to atone for our own sin. We do not have to make ourselves suffer to merit God’s forgiveness. We simply receive the forgiveness earned by Christ. Legalistic repentance is destructive. Paul talks about gospel repentance “that leads to salvation and leaves no regret,” which is contrasted with “worldly sorrow [that] brings death” (2 Cor 7:10). In moralistic religion our only hope is to live a life good enough to require God to bless us. We will focus on the behavior itself and be blind to the attitudes and self-centeredness behind it. If we know we are loved and accepted in spite of our sins that makes it far easier to admit our flaws and faults. The more we know we are forgiven, the more we repent; the faster we grow and change, the deeper our humility and our joy. If you forget the costliness of sin, your prayers of confession and repentance will be shallow and trivial. It is possible to merely assent that something is a sin without getting the new perspective on it and experiencing the new inward aversion to it that gives you the power and freedom to change. Stott therefore argues that real repentance should have these two components—admitting and rejecting. We begin by admitting the sin for what it is, but then “secondly, we forsake it, rejecting and repudiating it. Real repentance first admits sin as sin and takes full responsibility. True confession and repentance begins when blame shifting ends. Just as real repentance begins only where blame shifting ends, so it also begins where self-pity ends, and we start to turn from our sin out of love for God rather than mere self-interest. Mortification is an old word for killing something. It is to weaken sin at the motivational level by meditating on God’s holiness and love in Christ, and other biblical doctrines, and then seeing our specific sin in their light. That process makes the sin itself look unattractive to us. We come to see its folly and evil in this true light and find ourselves more able to resist it in the future. Our prayer life is the place where we should examine our lives and find the sins that otherwise we would be too insensitive or busy to acknowledge. We should have regular times of self-examination, using guidelines that come from biblical descriptions of what a Christian should be. George Whitefield once wrote, “God give me a deep humility, a well-guided zeal, a burning love and a single eye, and then let men or devils do their worst!”331 Those four features make a good summary of a vital Christian life. The third form of prayer is supplication—asking God for things for yourself, for others, and for the world. Why call this a “practical” mystery? The teaching is that our prayers matter—“we have not because we ask not”—and yet God’s wise plan is sovereign and infallible. These two facts are true at once, and how that is possible is a mystery to us. The Westminster Shorter Catechism question 98: What is prayer? Answer: Prayer is an offering up of our desires unto God, for things agreeable to his will, in the name of Christ, with confession of our sins, and thankful acknowledgement of his mercies. By “arguing” they meant “telling God why what we have asked for seems to us to be for the best, in light of what we know God’s own goals to be.” This means embedding theological reasoning in all our prayers. If we find we cannot say something along these lines, it is a signal that we are dealing with one of Augustine’s “disordered loves,” a heart idol, a rival for God himself in our inmost being. God will either give us what we ask or give us what we would have asked if we knew everything he knew. We can be sure that, if we ask for something that wouldn’t be best for us, God won’t give it to us. When you struggle in prayer, you can come before God with the confidence that he is going to give you what you would have asked for if you knew everything he knows. We should also ask ourselves what our petition tells us about our own motives, our own loves, and even our own sins and weaknesses. Packer is concerned about how many Christians tend to pray from long “prayer lists.” The theological thinking and self-reflection that should accompany supplication takes time. Prayer lists and other such methods may lead us to very speedily move through names and needs with a cursory statement “if it is your will” without the discipline of backing up our requests with thoughtful reasoning. We are seeing the necessary balance of two purposes of petitionary prayer—to put the world right (“thy kingdom come”) and to align our hearts with God (“thy will be done”). We must make our desires known—and also rest in his wisdom. One is external. Through our petitions, God effects the circumstances of history (James 5:16b–18). We have a God who runs the universe and is also our heavenly Father. Therefore, Jesus says we should pray with “shameless audacity” (Luke 11:8). On the other hand, we see that the second goal of petitionary prayer is internal. Through our petitions, we receive peace and rest. We must pray not only with shameless assertiveness but, at the same time, with a restful submissiveness, a confidence that God is wiser than we are and wants the best for us. From biblical examples we see three sorts of petitions: asking, complaining, and waiting. There are ordinary prayers for our own needs and those of others. Praying for our “daily bread,” for ourselves, should cover the full range of what we need spiritually, emotionally, and materially. Prayer for others and for the world has been called intercessory prayer. This includes the needs of family members and friends as well as opponents and even enemies. Be sure to remember to pray for individuals you meet during the day who are suffering or in difficulty. Most people in Western societies today who believe in God see him as obliged to arrange things for our benefit if we live a good enough life according to our own chosen standards. We are to offer and submit both our thoughts and our feelings in prayer to God. We should be confident that God will hear us, but we should also be extremely patient with God’s timing. We should be willing to pray with temerity and perseverance, waiting months or years for God to answer some things. God has good reasons for making us wait a long time to see some prayers answered. Jesus was the only human being in history who deserved to have all his prayers answered because of his perfect life. Yet he was turned down as if he cherished iniquity in his heart. Why? The answer, of course, is in the gospel. God treated Jesus as we deserve—he took our penalty—so that, when we believe in him, God can then treat us as Jesus deserved (2 Cor 5:21). More specifically, Jesus’ prayers were given the rejection that we sinners merit so that our prayers could have the reception that he merits. That is why, when Christians pray, they have the confidence that they will be heard by God and answered in the wisest way. We should ask God for things with boldness and specificity, with ardor, honesty, and diligence, yet with patient submission to God’s will and wise love. All because of Jesus, and all in his name. Paul said we should “pray without ceasing” (1 Thess 5:17), meaning that we should, if possible, do everything all day with conscious reference to God. This kind of spontaneous and constant prayer during the day should be a habit of the heart. We will never develop it, however, unless we take up the discipline of regular, daily prayer. In the 1930s and ’40s, British and Australian evangelical leaders produced a short booklet entitled Quiet Time: A Practical Guide for Daily Devotions. At the heart of the most practical part of Quiet Time is a summary of some of the prayer practices of George Mueller (1805–98), a well-known German Baptist minister and founder of orphanages, who lived most of his life in England. He had a set of questions that he asked of a text, which echoed Luther’s own. Quiet Time listed them prominently: Is there any example for me to follow? Is there any command for me to obey? Is there any error for me to avoid? Is there any sin for me to forsake? Is there any promise for me to claim? Is there any new thought about God Himself? After Bible study and meditation, prayer is outlined as first approaching God in confession of our sins, then responding with thanks and praise for our salvation via the cross. After praise comes intercession for others and finally petition for our own needs. Many have found the traditional evangelical Quiet Time—with its emphasis on interpretive Bible study and petitionary prayer—to be too rationalistic an exercise. In response, and with desire for greater experience of God, many Protestants have turned to more Catholic and Eastern Orthodox traditions, including lectio divina, contemplative prayer, and fixed hours of liturgical prayer. No reader of this book will be surprised by now to hear me say that I think we could learn more from the prayer practices of Protestant theologians of the sixteenth, seventeenth, and eighteenth centuries. If we look back to those writers as we have been doing throughout this book, I see several important changes to make. I believe prayer should be more often than the classic once-daily Quiet Time. To frame the day, there seems to be unanimity from the Christian past in all its branches that we should turn our thoughts to God at set times more than once during a twenty-four-hour period. I agree with most Protestant churches that twice a day is good, though we cannot be too insistent on one schedule. I personally find morning and evening prayer the best for me, but I also try to sometimes practice a brief, midday “stand-up” time of focused prayer to reconnect to my morning prayer insights. I believe daily prayer should be more biblical, that is, more grounded in systematic Bible reading and study and in disciplined meditation on passages. Systematic, consecutive reading of the Bible should precede or accompany prayer. Daily prayer in private should be more interwoven with the corporate prayer of the church. Many churches today, especially those with what is called contemporary worship, give congregants almost no help with prayer at all in this way. This means that many Christians today will have to search out such prayers, and that is where Cranmer’s matchless “collects” as well as other resources, such as Phyllis Tickle’s The Divine Hours or Arthur Bennett’s The Valley of Vision, can be helpful. Finally, daily prayer should include meditation, not just Bible study, and in general we should be much more expectant of experience in the full range. The most practical question of all, then, is “How do you actually spend time in prayer?” I suggest this framework—evocation, meditation, Word prayer, free prayer, and contemplation. To evoke means “to bring to mind,” though it also can include invocation, calling on God. To respond to God in prayer, we must listen to his Word. This means taking time to meditate on some portion of the Bible as a bridge into prayer. For those starting out in the Christian life, therefore, it would be best to set aside some regular time—apart from daily prayer—for serious study of the Bible. That way the Bible gradually becomes less and less of a strange, confusing jumble of ideas, and it becomes easier to read and meditate on it every day. The actual order in your daily devotion would then be like this: first evocation, then Bible reading and meditation, and then on to prayer. Use Luther’s approach to meditation—discovering something in the text as a basis for praising, repenting, and aspiring. “Praying the Psalms” is an important and time-honored way to do Word prayer. Luther’s favorite way to pray a text of Scripture has been treated earlier. He advises that the person praying take the Lord’s Prayer and paraphrase each petition in his or her own words, filling it out with the concerns on his or her heart that day. I believe this is perhaps the single best way to bridge from the Word into prayer because, of course, the Lord’s Prayer is Jesus’ own comprehensive model. I advise doing this at least once a week as part of this step in your daily prayer pattern. Free prayer. Free prayer means simply to pour out your heart in prayer. Nevertheless, nearly all sound guides remind us to give thought to balance our prayers among the three forms—adoration and thanksgiving, confession and repentance, petition and intercession. Do not rapidly run down a “grocery list” but instead lift each cause to God with theological reasoning and self-examination. Edwards described contemplation as times when we not only know God is holy, but when we sense—“see” and “taste”—that he is so in our hearts. Luther described it as a time in which he finds himself getting “lost” in some aspect of God’s truth or character. [So] if the Holy Spirit should come and begin to preach to your heart, giving you rich and enlightened thoughts . . . be quiet and listen to him. Take the best thought we received about God, then praise and thank him for it and for who he is, and finally ask God sincerely to come near and show us his face in his good time. What follows are two plans for daily prayer, one more full and challenging and one simpler for those starting out. Don’t be intimidated by these plans. Follow the steps in the outline—approaching (evocation), meditation, Word prayer, free prayer, contemplation—without feeling the need to do all the specific proposals or answer all the questions within each part. Prayer will grow and draw you in. From earliest times, the Christian church adopted the Psalms of the Old Testament to be its prayer book. The second, perhaps most common way to pray, is to paraphrase and personalize the Psalm. A third basic kind of Psalm praying is sometimes called responsive praying. In this method we take themes and statements and let them stimulate adoration, confession, and supplication. Learn to pray the Psalms with Jesus in mind. Remember that Jesus would have actually sung and prayed the Psalms through his entire life. There are a number of very obviously Messianic Psalms that give us particularly rich views of Christ.